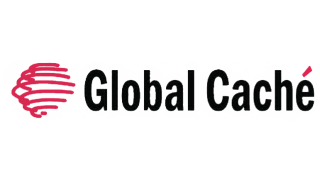 Global Caché is set to begin shipping the Global Caché Commercial Line (CL) to authorized distributors associated with its newly approved manufacturers’ reps. Global Caché products connect any IR, serial, and contact closure device to a Wi-Fi and/or IP network so it can be controlled, automated, and maintained by network-based software. The company offers other connectivity products and capabilities, including sensor input, IR learning, HTTP communication, and the Control Tower IR database, available in the cloud. "We're excited to be represented by Symco Inc., BP Marketing, and The Farm AV as they will actively visit, train, and support our commercial customers requiring special technical and volume attention," said Robin Ford, Global Caché VP. "We have essentially added almost 30 sales and technical staff members to address this growing segment of our customer base. Our CL distributors Stirling (owned by Symco), HD Distributing (owned by BP Marketing), and TroutFarm (owned by The Farm AV) work closely with us to determine and support the specific top to bottom requirements of large commercial installations that other mainline distributors have difficulty addressing. As we see our products installed in more stadiums, sports bars, conference rooms, and educational facilities, we have found that the hands-on approach of a rep is invaluable." Frank Culotta, Symco and Stirling president, said, "This partnership is a no-brainer for us. We have always focused on custom installers for the commercial market and our roadmap fits perfectly with Global Caché's IP and Wi-Fi-enabling and IoT-focused devices. Their connectivity products are spot-on for the markets we serve, some of which embrace proprietary systems as well as the newer, up-and-coming cloud-based software solutions that we represent." "We agree," said Steve Garber, president at BP Marketing and HD Distributing. "The industry is starting to embrace the concept of open, standards-based management solutions. That said, legacy control platforms still represent the largest market share and Global Caché gives us the ability to serve both. Global Caché products allow us to do that in a simple and cost-effective way. We're delighted to be one of the exclusive distributors of the new Commercial Line and know that we can value delivering the Global Caché message directly to our custom installers." John Hood, president of The Farm AV and TroutFarm, added, "We have been Global Caché fans for a very long time and are excited to represent the brand. They make reliable, leading-edge products that allow our customers and partners to be more competitive in a very competitive world. The fact that we represent other successful brands that endorse and partner with Global Caché is the icing on the cake. We know this is the beginning of a great new relationship." Global Caché’s new Commercial Line begins shipping April 28.